Originally published: Camberwell, Vic. : Puffin, 2005. For three years and eight months, Felix has lived in a convent orphanage high in the mountains in Poland. But Felix is different from the other orphans. He is convinced his parents are still alive and will come back to get him. When a group of Nazi soldiers come and burn the nuns' books, Felix is terrified that his Jewish, bookseller parents will also be in danger. 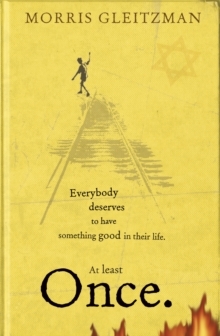 After escaping from the orphanage, Felix embarks on a long and dangerous journey through Nazi occupied Poland, befriending a little orphan girl called Zelda and a kindly dentist, Barney, who hides and cares for Jewish children. But when the Nazis discover them, Barney makes the ultimate sacrifice for the children.